More Data - FishViews let you navigate rivers, coasts and shores from your computer or mobile device – revolutionizing the way people gather, analyze and communicate location-based data from waterways. FishViews Internet of Waterways will enable Science, Conservation and Recreation. We start by using our purpose-built water-mapping array to rapidly capture thousands of 2D and 3D images above and below the water. Via an automated, synchronized process, thousands of physical, biological and chemical features of the waterway are captured and measured. These geo-located data and images are mapped to form water-level 360 panoramic models of rivers, coasts and shores. The resulting info-rich hydro-scapes of waterways, called FishViews, allow for data gathering and analysis from your computer or mobile device. And the FishViews toolkit will let you tag, add, catalog, quantify, and measure key features on the shore and under the water – without getting wet. 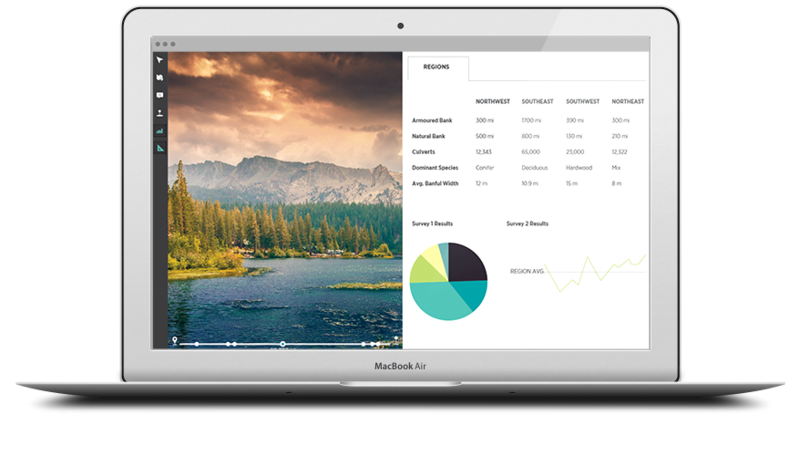 FishViews can be used in a variety of ways—through a browser, on a mobile device, in a desktop standalone system, or in a custom application. Because FishViews are primarily published via our cloud-based server, an ever-growing online waterway inventory is being created. Everyone can navigate the publically available FishViews. By creating a unique user profile with tailored collaboration settings, FishView subscribers will have access to advanced features like enhanced navigation tools, cutting edge data views, and FishView content contribution and downloads. 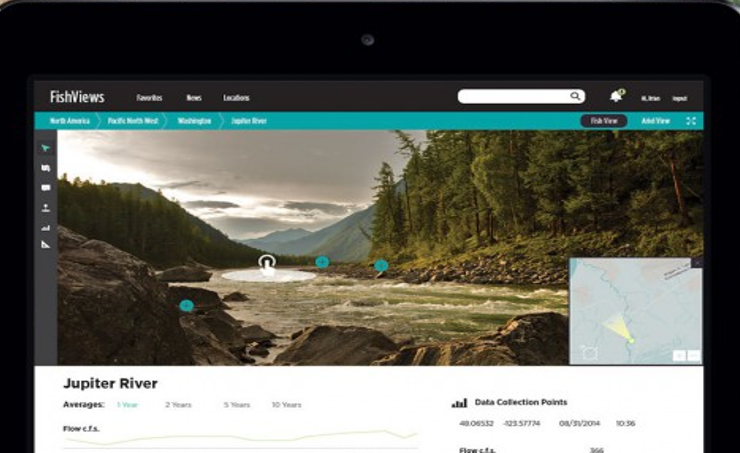 FishViews, integrated with your unique content, can be created and shared to tell your story, and contribute to an evolving library of waterway information. As the library of FishViews continues to grow, billions of measurements and data points will eventually become available for Big Data analytics. Insights will be gained by sampling data across large regions and from multiple locations. Comparisons between years and seasons will be enabled for detailed, comprehensive and visually compelling analyses.